H T Howard & Co offer a range of flywheel machining services. We can regrind or re-face worn or damaged flywheels before the fitment of new or up-rated clutches. All clutch faces are ground with a swirl pattern. Grinding ensures that the flywheel is totally flat and removes the hard spots created by localised overheating to give a superior finish than is achieved by lathe machining. Lathe machining will not successfully remove hard spots and will create a surface which makes it more difficult for the new clutch to bed in causing uneven wear and possible slippage. 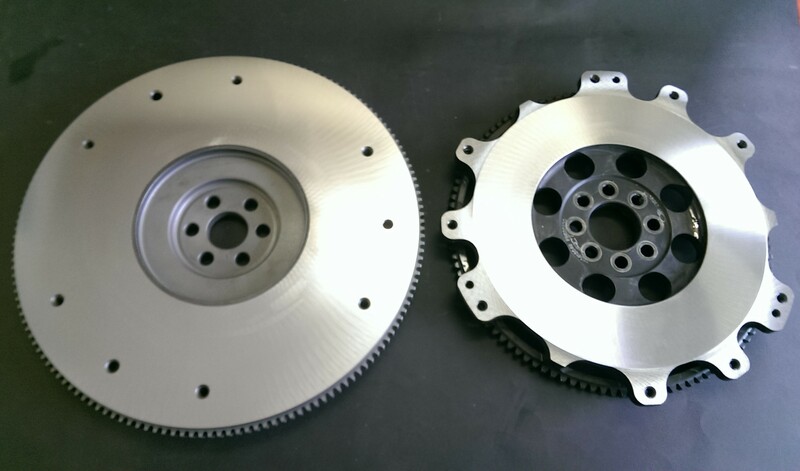 Grinding with a swirl pattern is better for heat dissipation and encourages the clutch to bed in promoting longer clutch life and smooth operation. Some flywheels have pressure plate seating faces which are at a different height to the pressure place surface. In these cases the pressure plate face is also machined to maintain the original relationship between the two. This ensures that clutch tension and operation is not compromised. We offer performance upgrades for your flywheel which can include lightening and balancing. These operations are often carried out in conjunction with each other along with the balancing of the other rotating components. Lightening a flywheel is probably the best way to gain performance in relation to cost. We also offer a replacement service for worn or damaged ring gears.